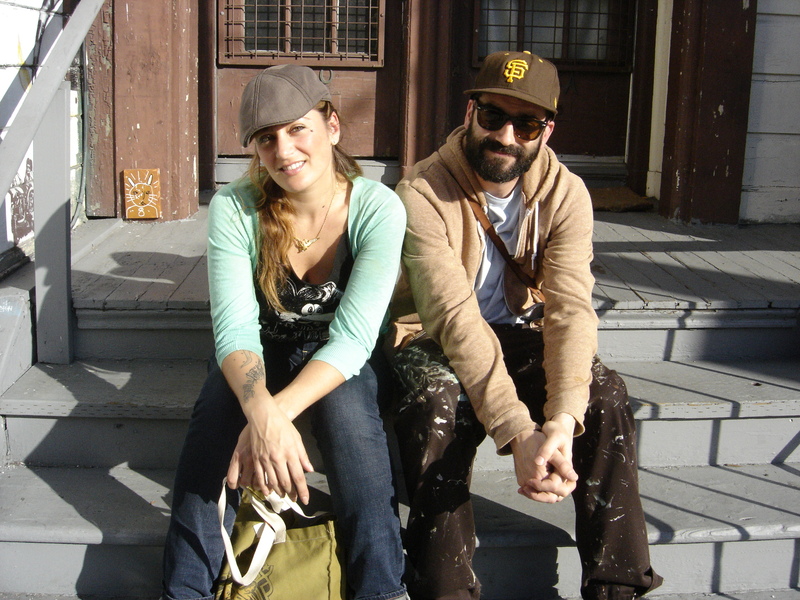 Jeremy Fish- long time friend and valued member of the Upper Playground and FIFTY24SF family. Incredibly talented illustrator and painter. Humble and genuine. 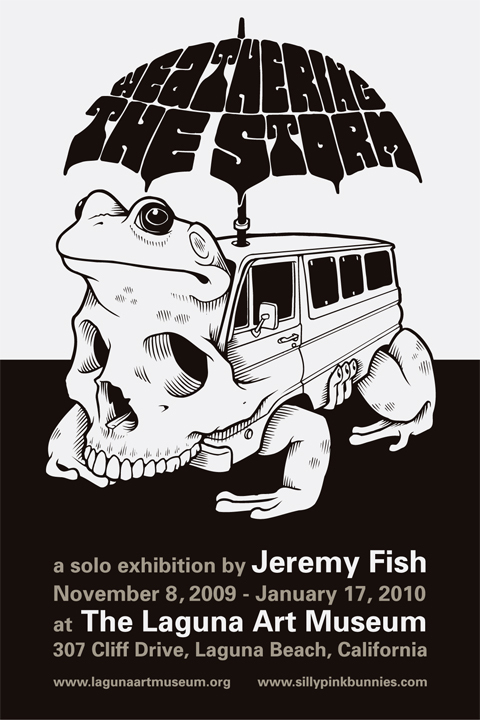 Innovative, fresh, intriguing, humorous, prolific; these are all words and phrases that immediately pop into mind when we think of Jeremy Fish. Yet, none of these words are big enough to describe the level on which this guy functions. Most people can tell you that they've never seen Jeremy give only 50% to a project. In fact we've never seen him invest any less than 200% in everything he does. If you were lucky enough to experience "Ghosts of the Barbary Coast" last December, you know that when Jeremy goes for it, he goes the distance. Which is why we are immensely proud to announce the opening of his first Museum exhibition, "Weathering the Storm" at the Laguna Art Museum this coming Sunday, November 8th. 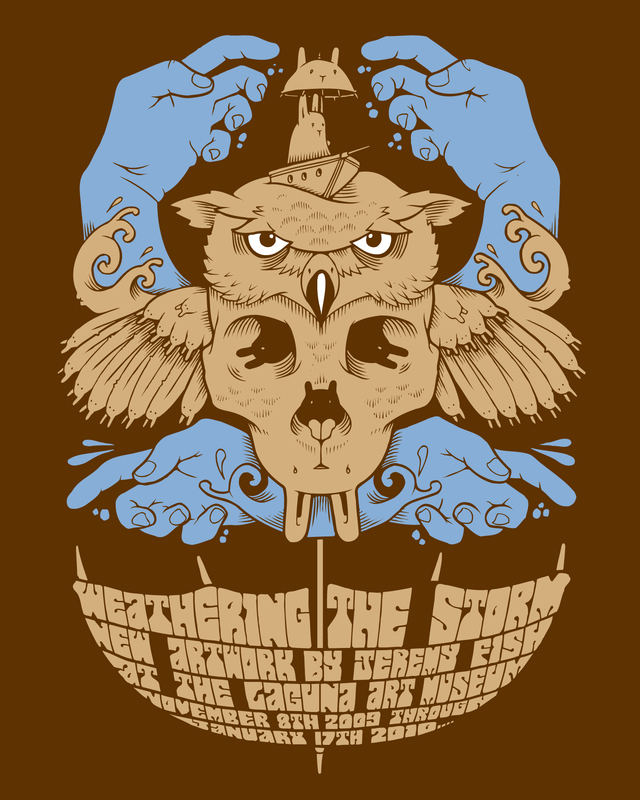 Jeremy Fish has spent a lifetime making beautiful artwork. We've watched his steady ascent and are proud to acknowledge and support this momentous step in his career. Congratulations Jeremy! We'll be seeing you in Laguna!